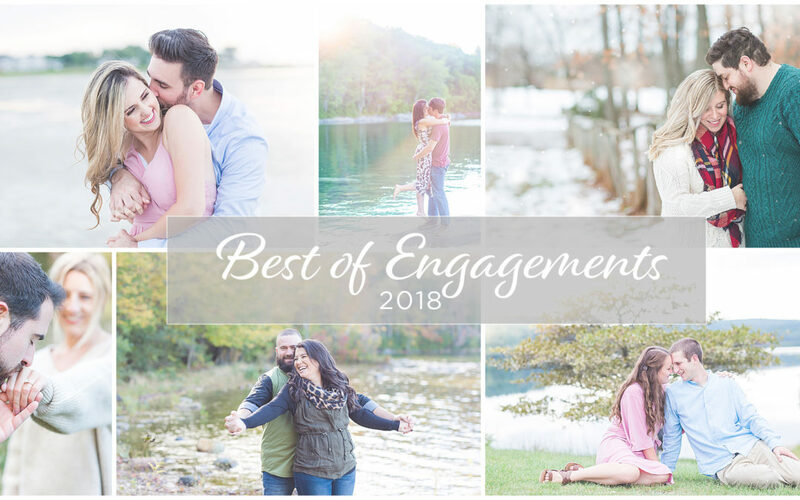 I am so excited to be sharing with you our best of engagements from 2018!! 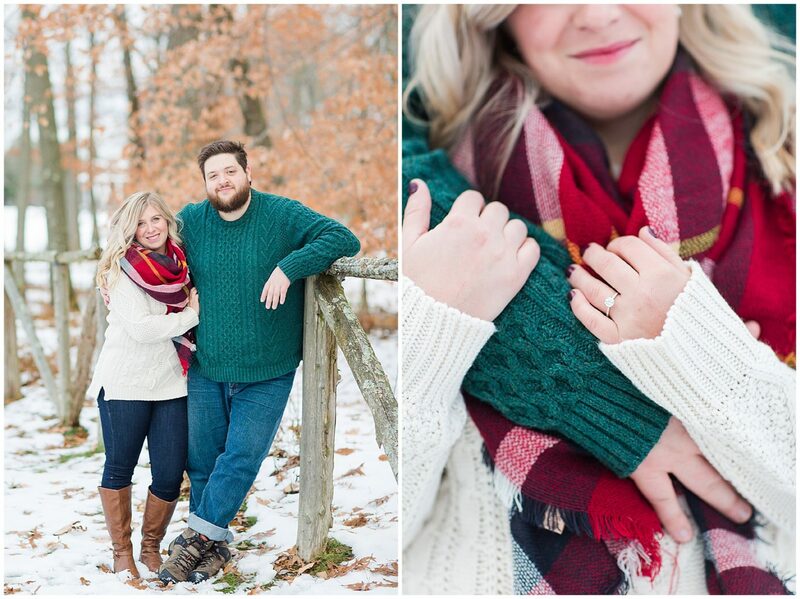 Being engaged is one of the most exciting seasons of life. 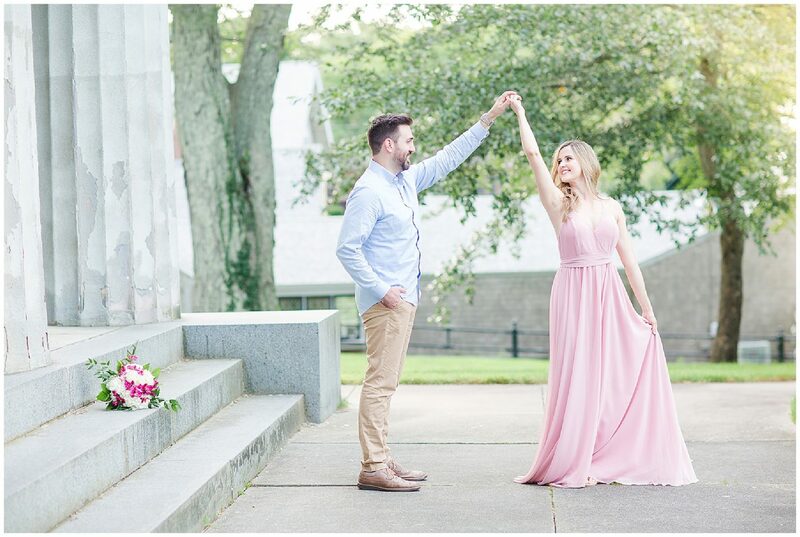 It is a time to celebrate and soak in each moment because it passes so quickly! 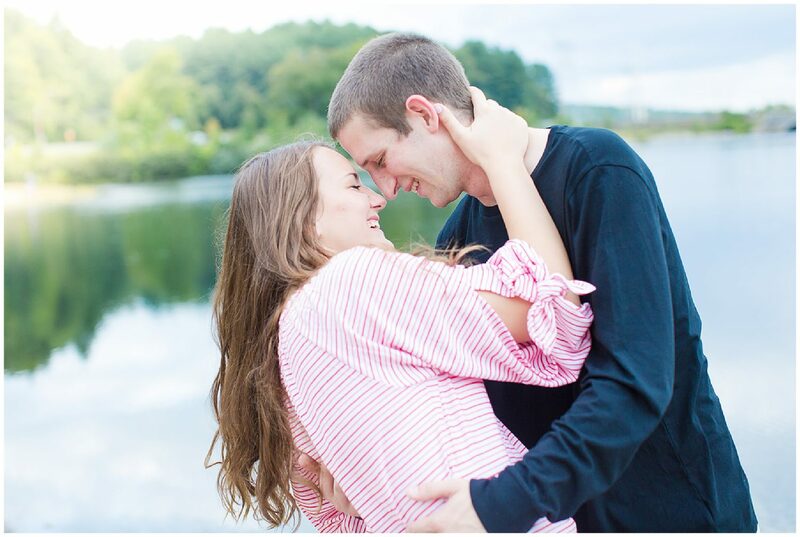 Engagement sessions are always so fun for Andrew and I because it is an important aspect of preparing for your wedding. 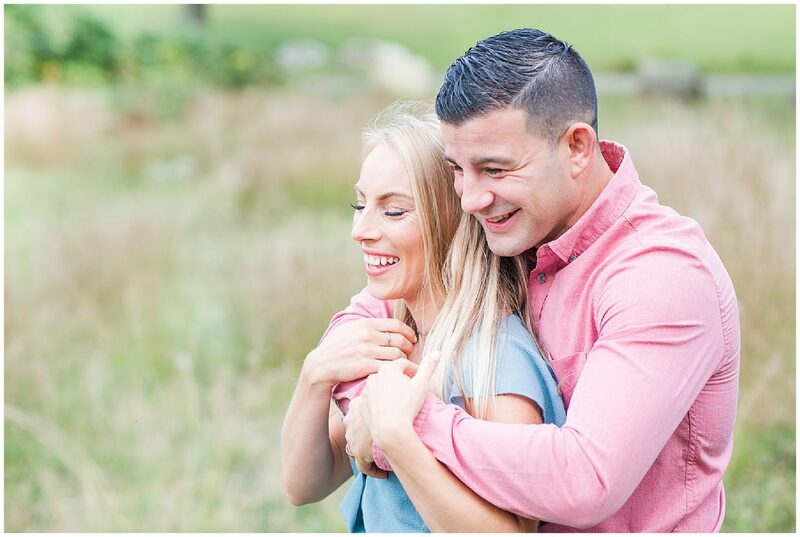 During an engagement shoot, we get to spent time getting to know each couple and just having fun. 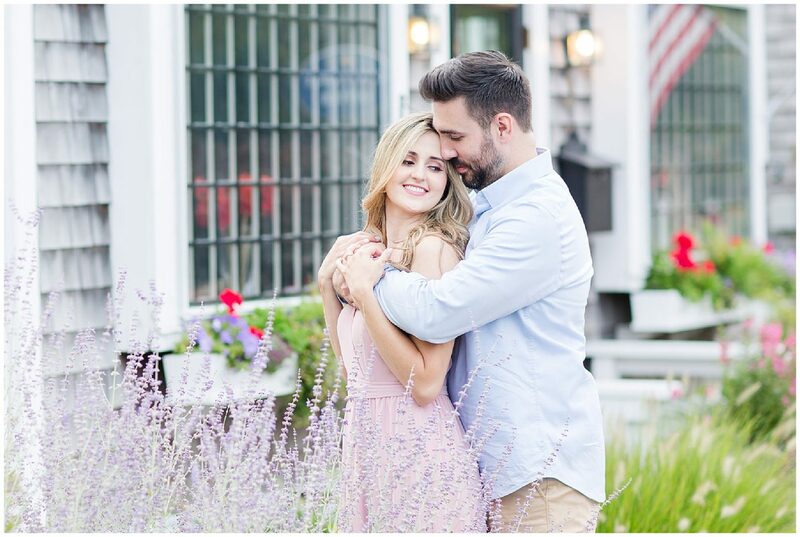 Getting to see many personalities, how couples interact and learning fun facts such as favorite date nights help us capture genuine, authentic and personal moments. 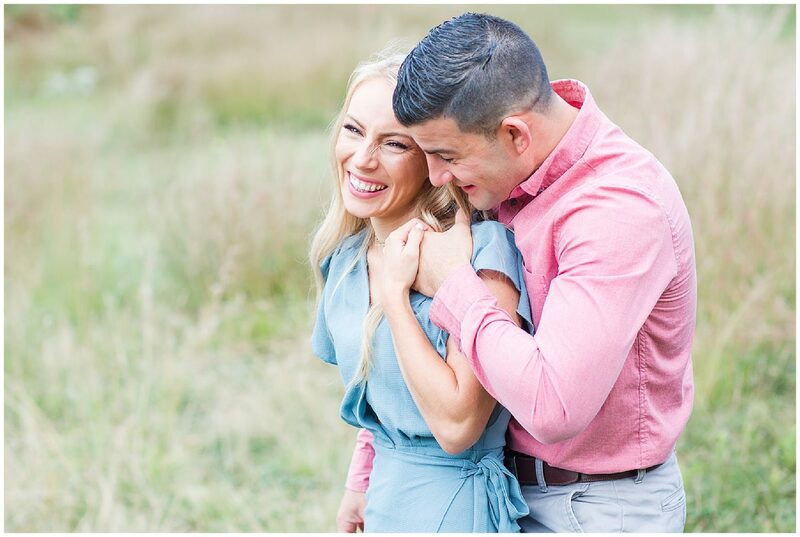 We are always blessed with the best couples and we love getting to know them and be a part of such an important season. 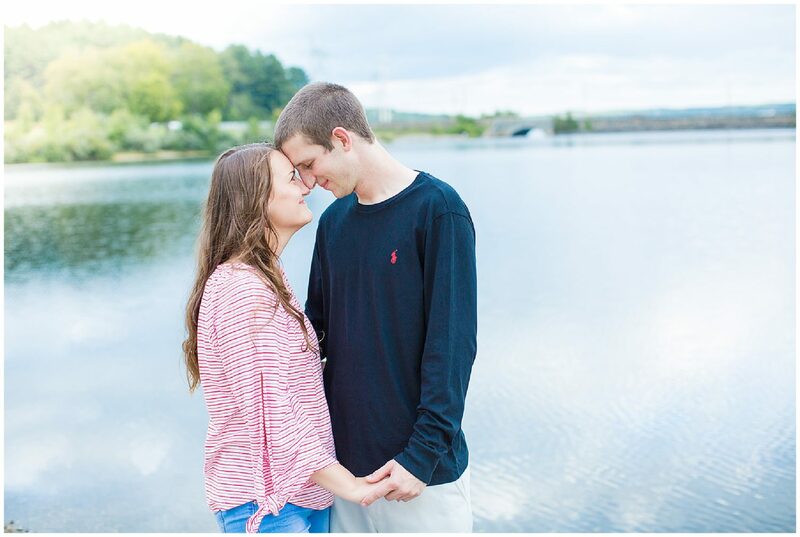 This year for the first time we also started offering anniversary sessions. 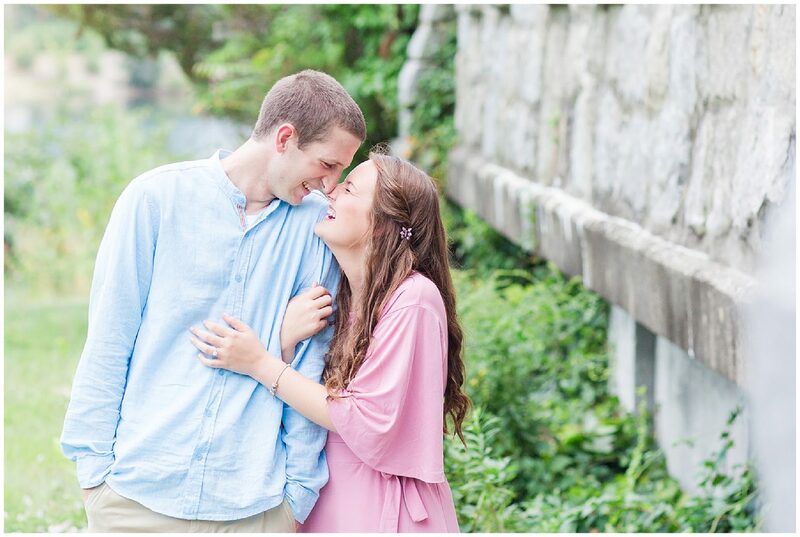 This has quickly become another favorite to photograph! 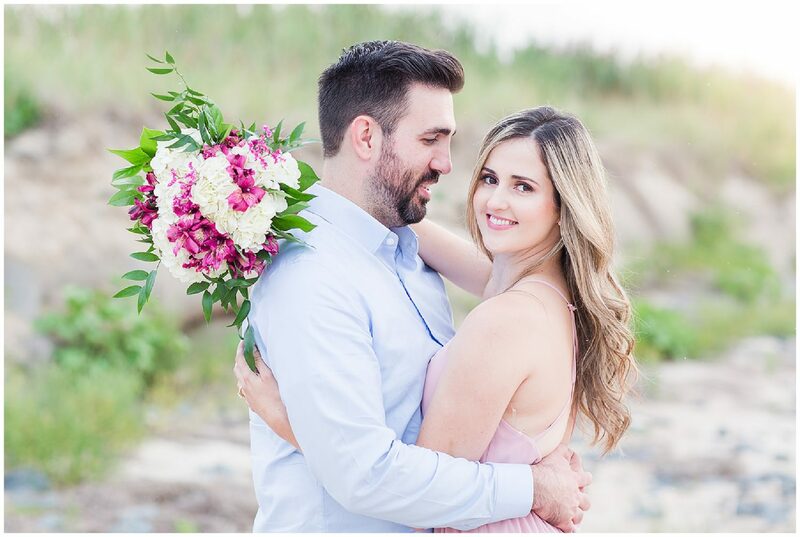 I decided to include our anniversaries from 2018 into this post because I think it is so important to capture each year and the legacy you are building! 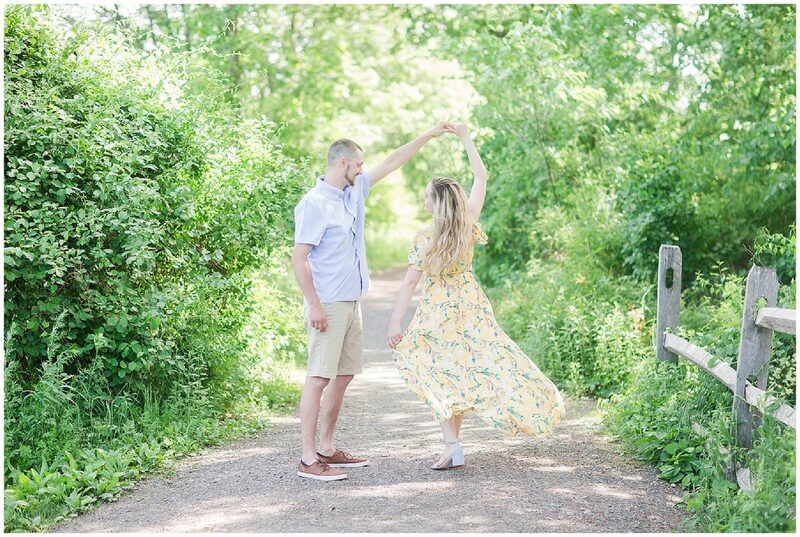 We had too many good ones not to highlight so you will see my favorites from some of those anniversary sessions featured also! 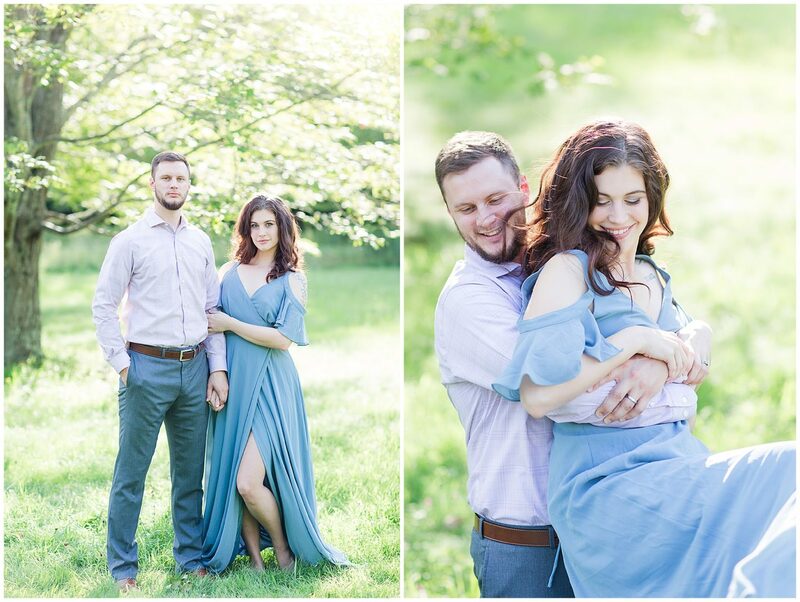 This year we had so many fun locations that we were able to shoot engagements/anniversaries at. 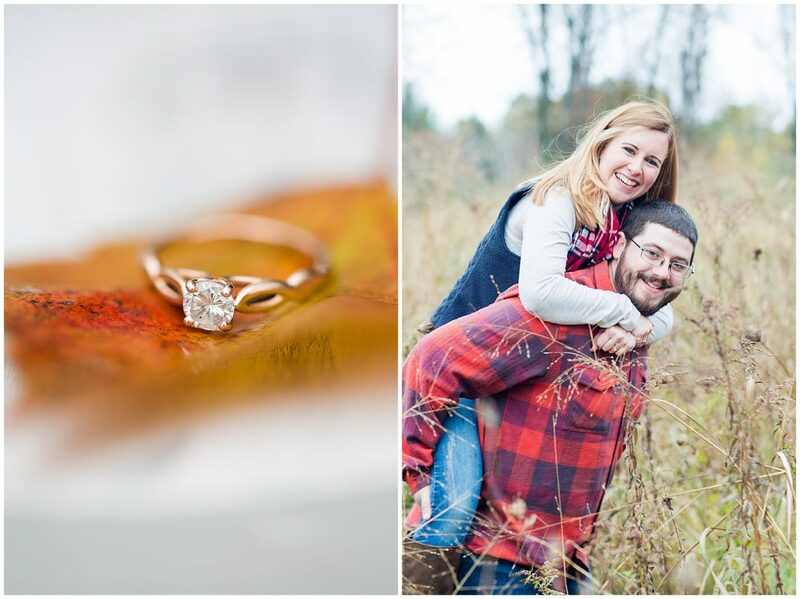 It is fun to look through all of these favorites and see the beautiful New England seasons. 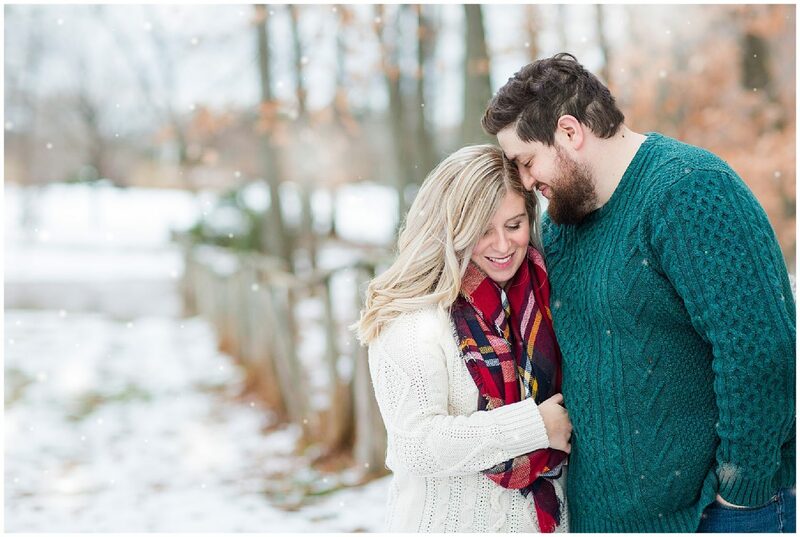 I am so thankful to all of our couples this year that trusted us to capture this special time! 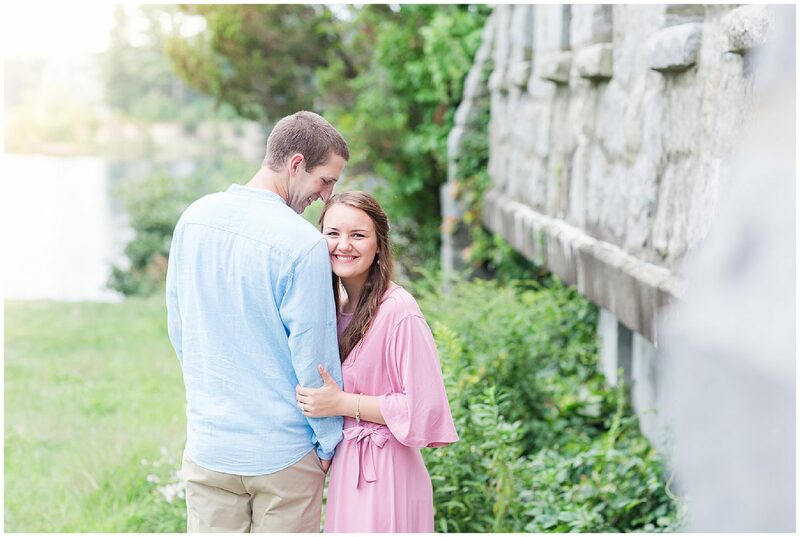 We are so excited for so many of their weddings in 2019!! 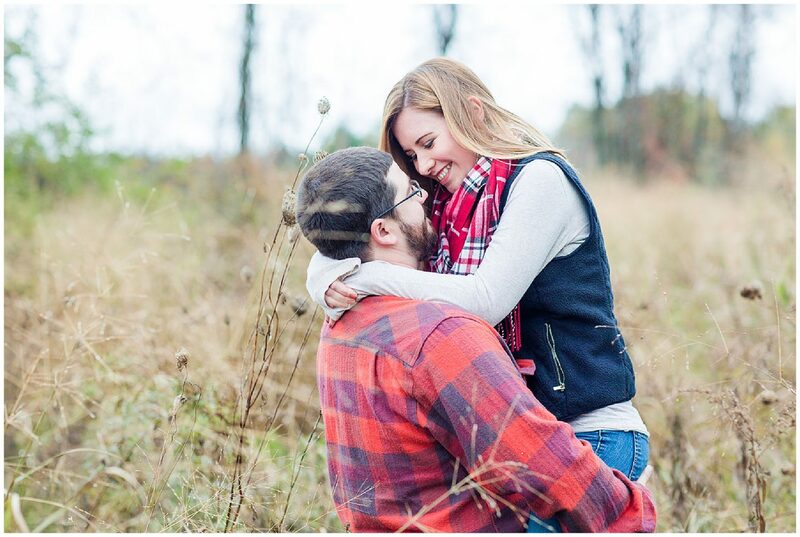 Thank you so much for an amazing year!! 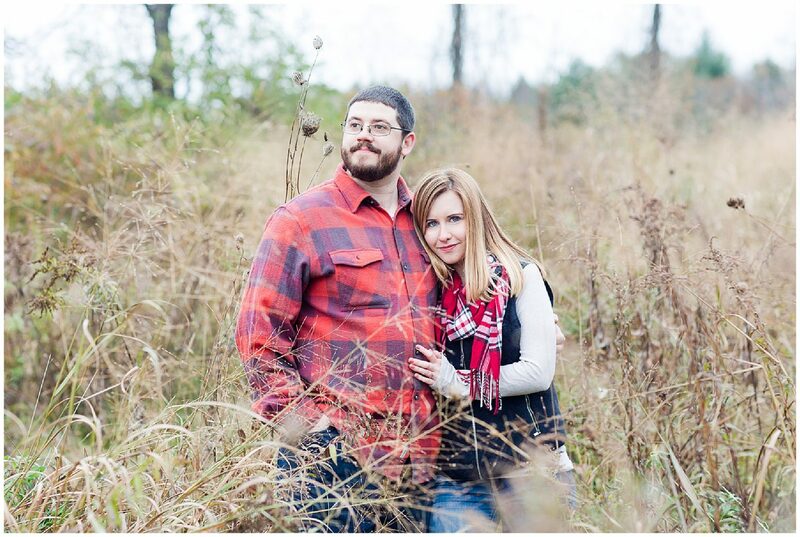 Hope you enjoy my favorites! 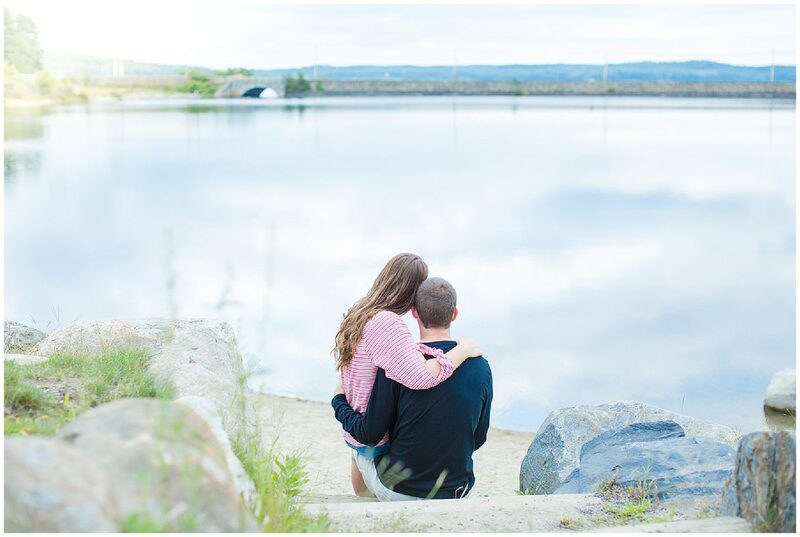 Loved this engagement session in Barnstable, MA at the Cape! 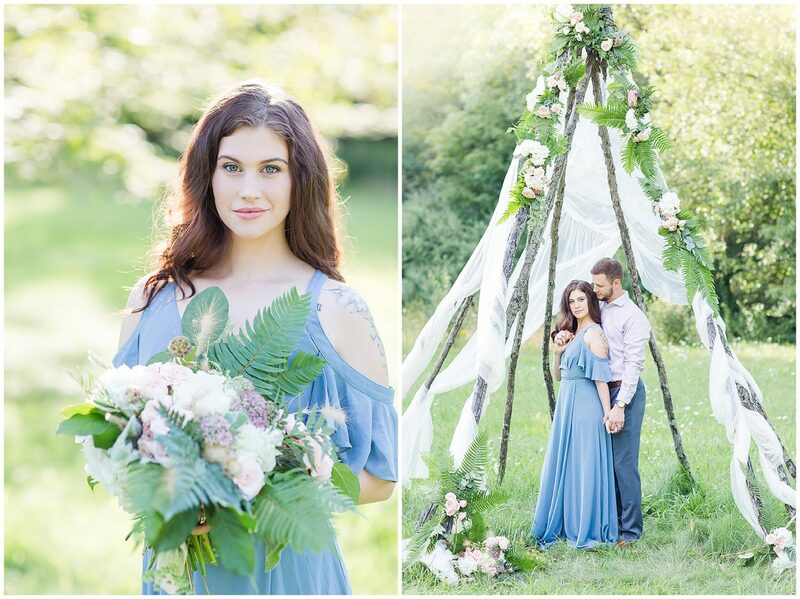 Marilia + Adam were the sweetest couple and I loved her flowy dress, this whole session had such a dreamy feel! 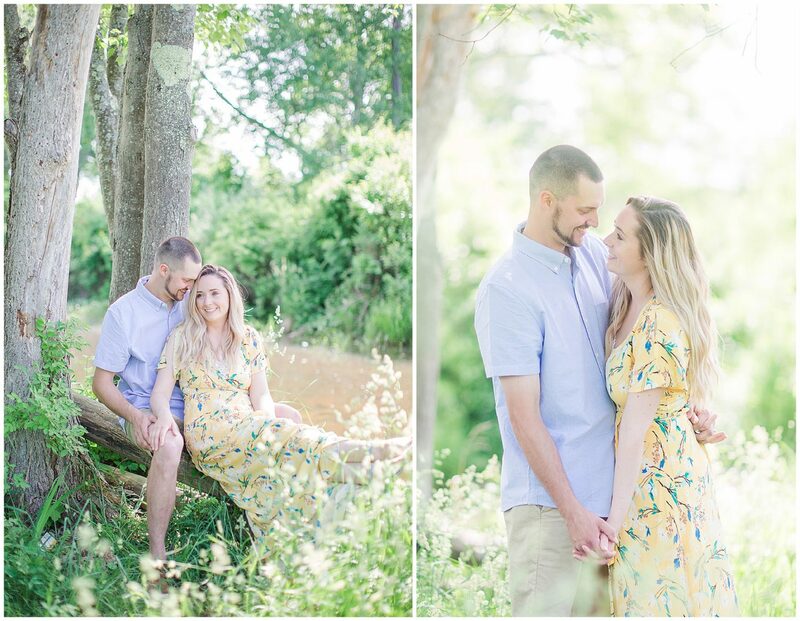 In celebration of Meghan + Bryan’s one year anniversary we took some photos at Ken Cuddeback Trail! 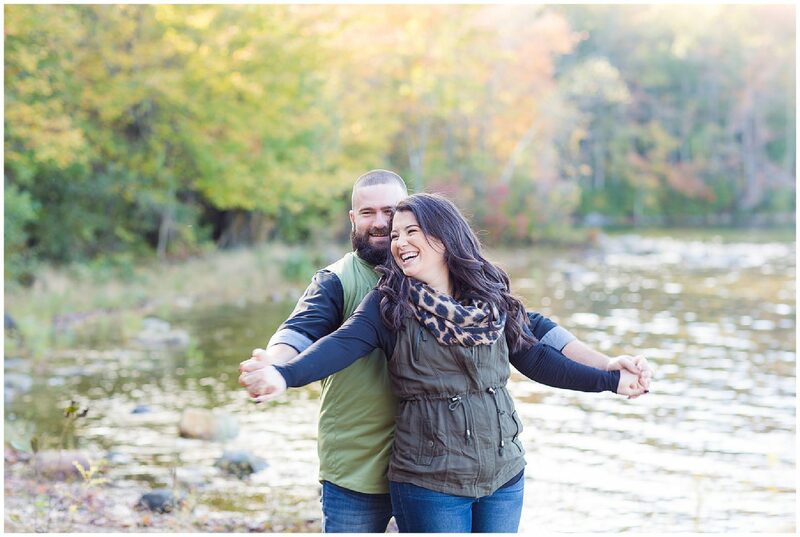 Dawna + Gabe celebrated 3 years of marriage this year! 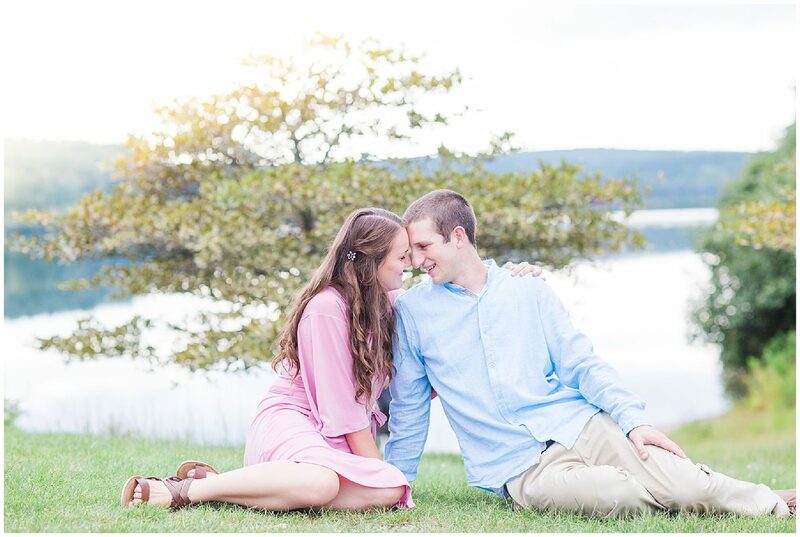 We took their photos at the Quabbin, one of my favorite locations for every season! 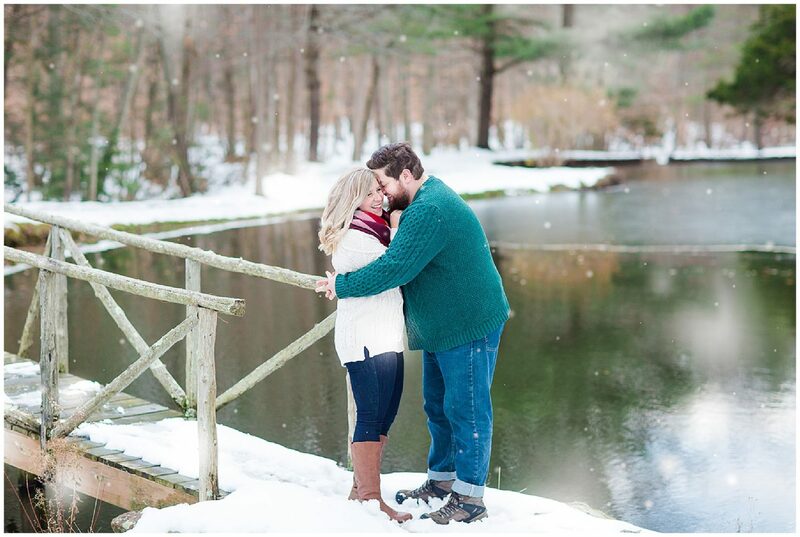 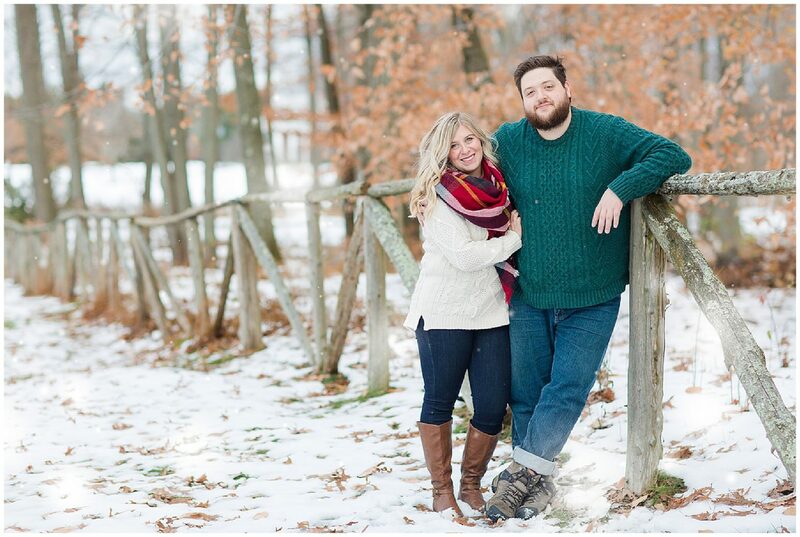 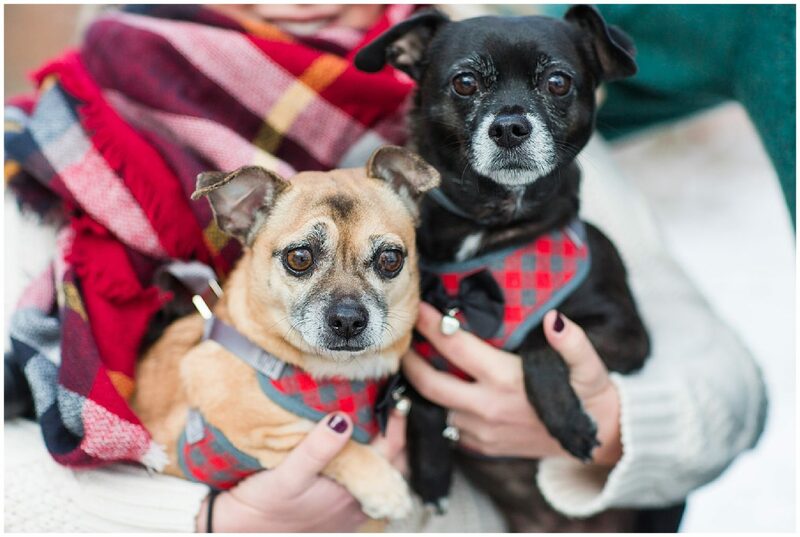 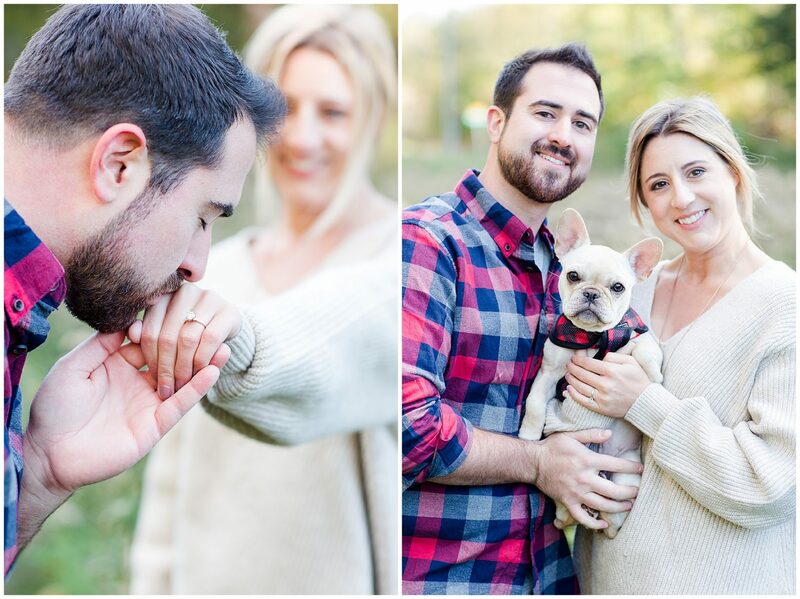 Molly + Drew had the perfect winter engagement session! 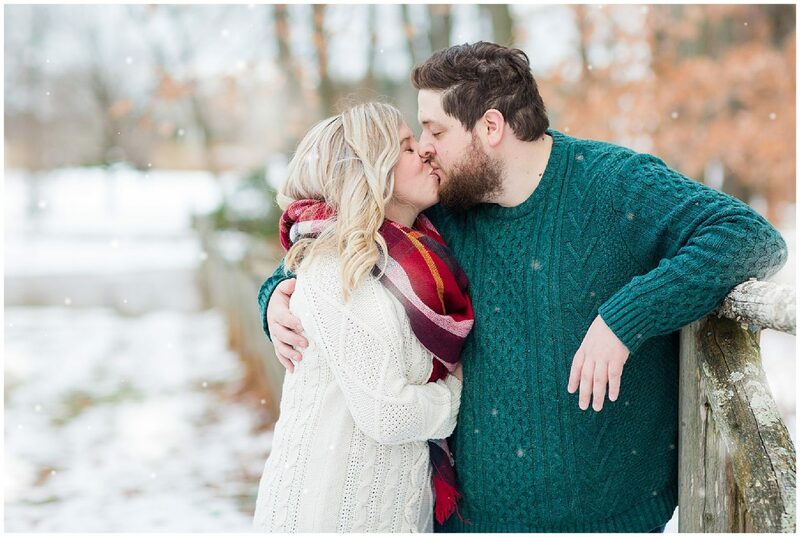 We had such a fun time with them in the snow and I can’t wait for their wedding! 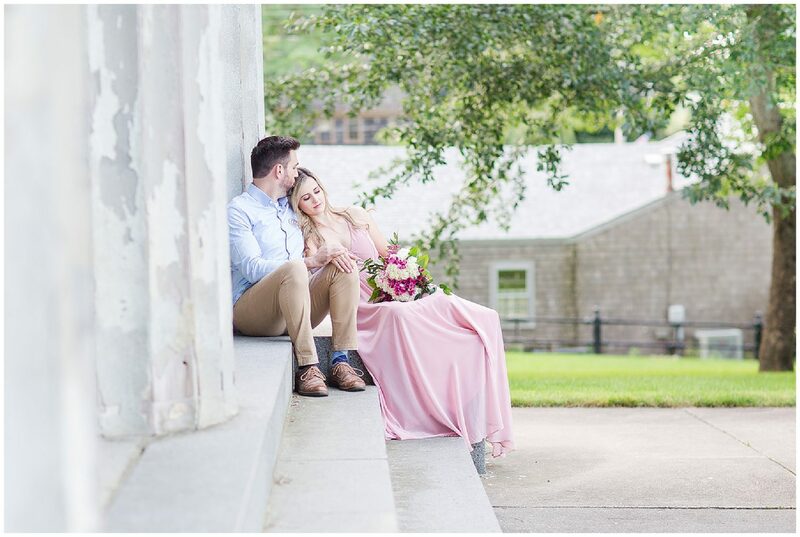 Matt + Mia took their engagement photos at a beautiful location in Bolyston, MA that overlooked the reservoir and had a beautiful Old Stone Church. 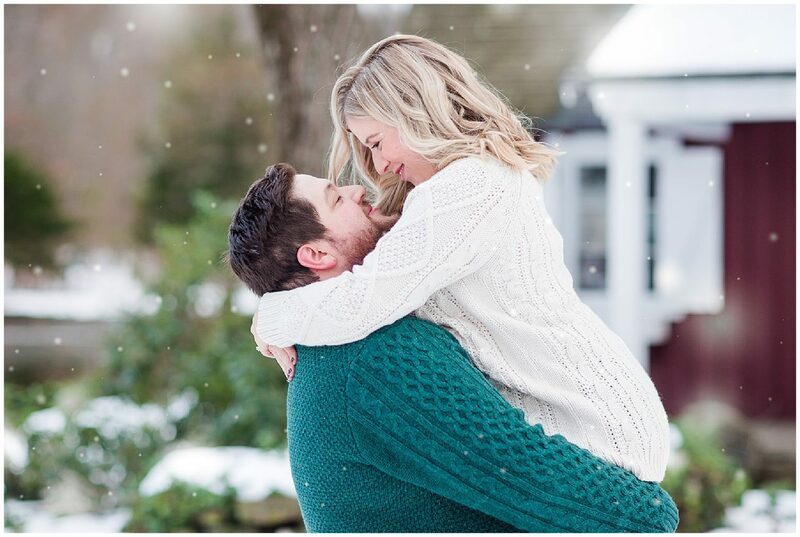 Karlie + Jason are featured in our best of engagement and weddings posts this year! 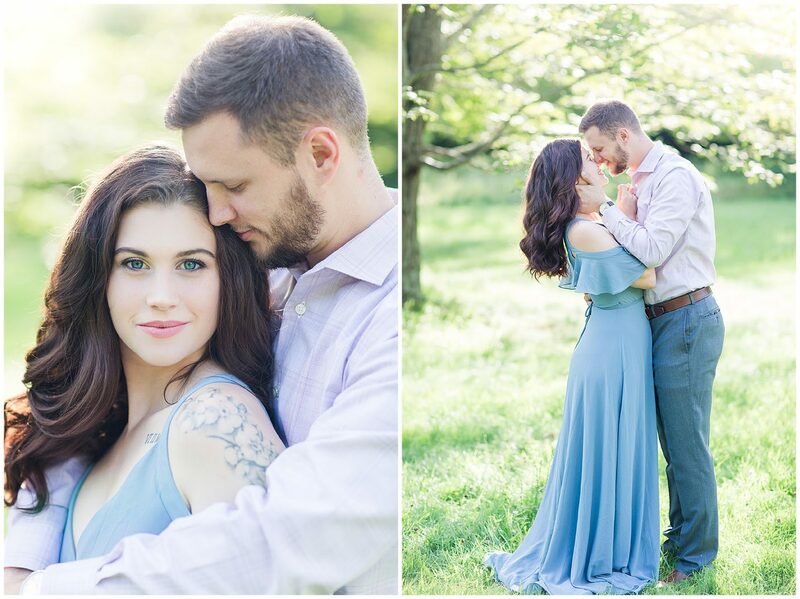 They had a quick engagement and a beautiful wedding! 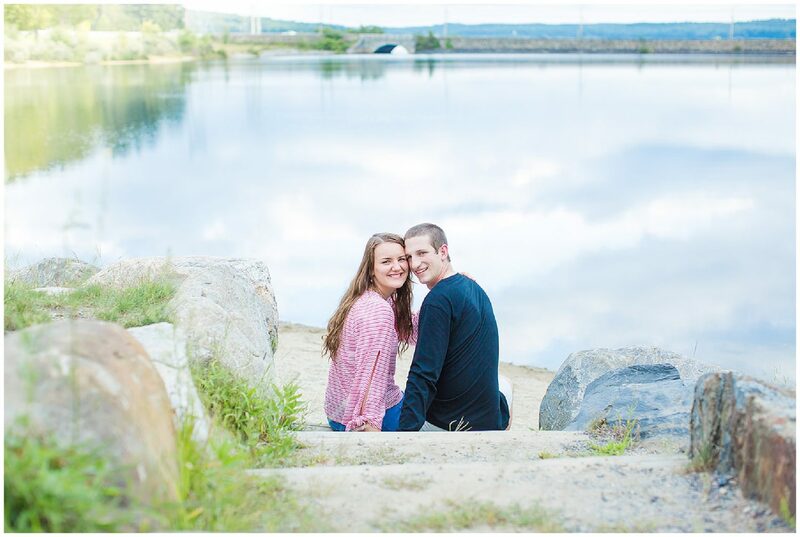 We took their photos at the Quabbin. 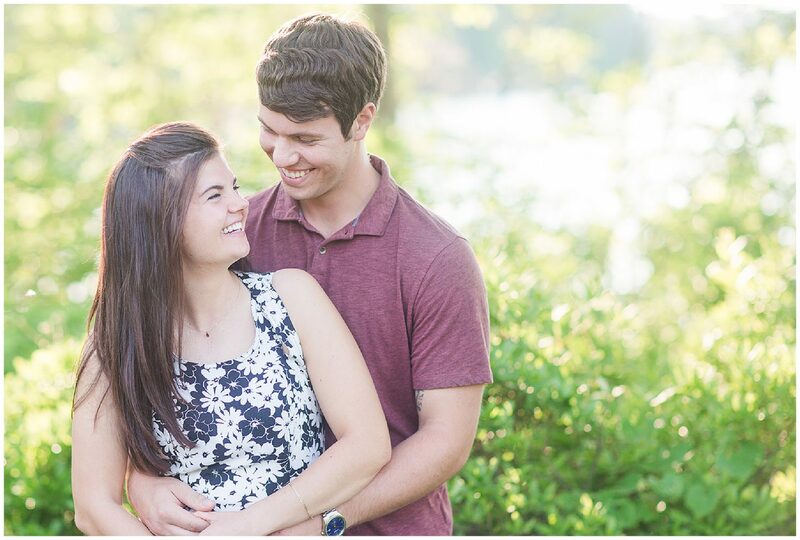 Kendal + Josh were so great in front of the camera! 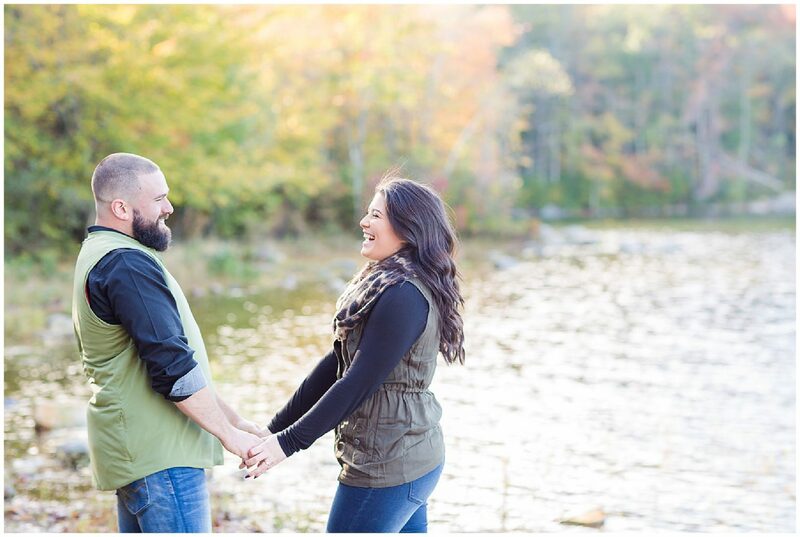 Kendal’s contagious laugh kept us all smiling throughout their beautiful fall session. 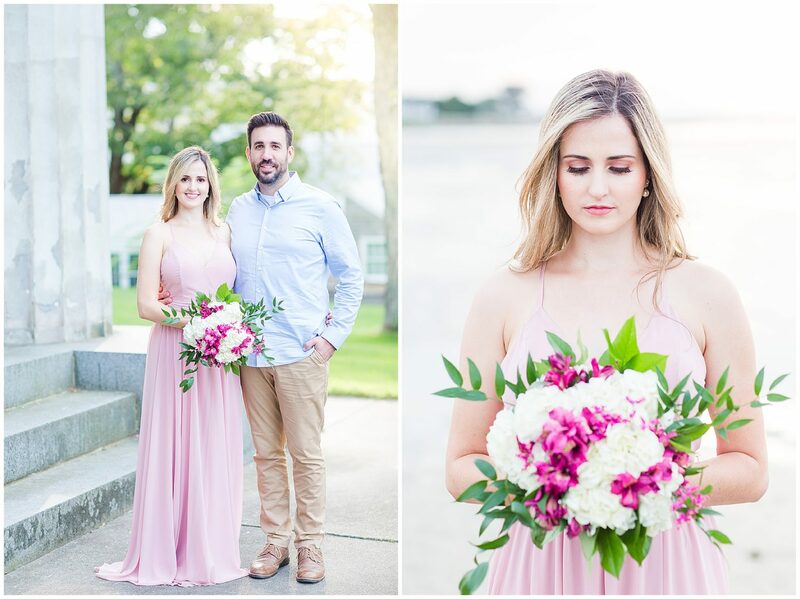 Margaret Parker put together this beautiful bouquet for this cape cod engagement. 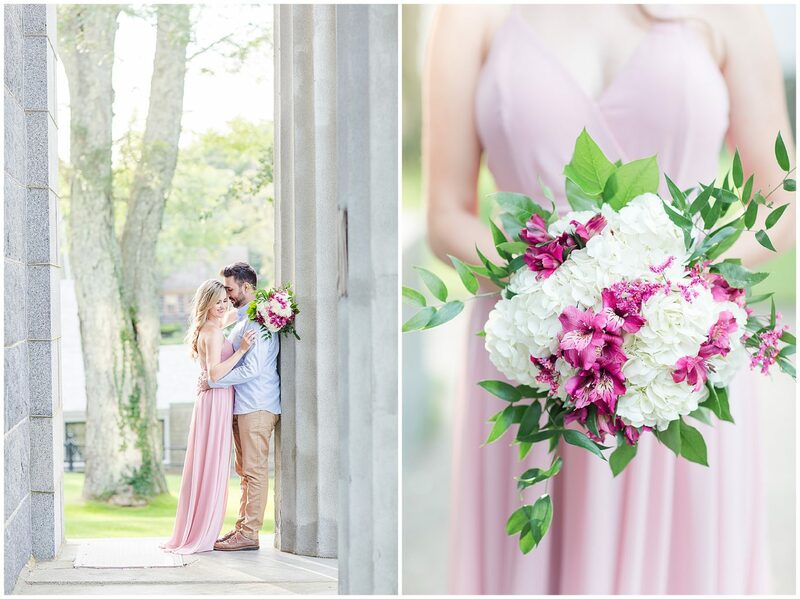 It gave just the perfect amount of color to add a pop to their images! 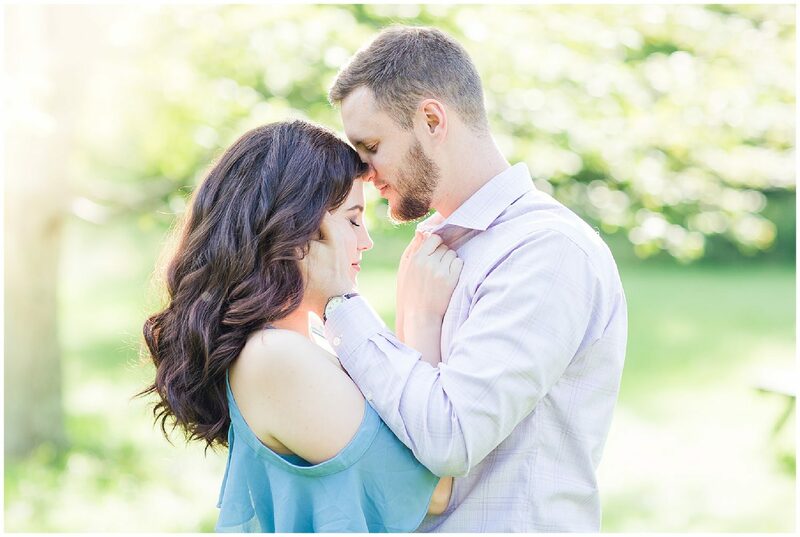 This was my favorite shot from Matt + Mia’s engagement! 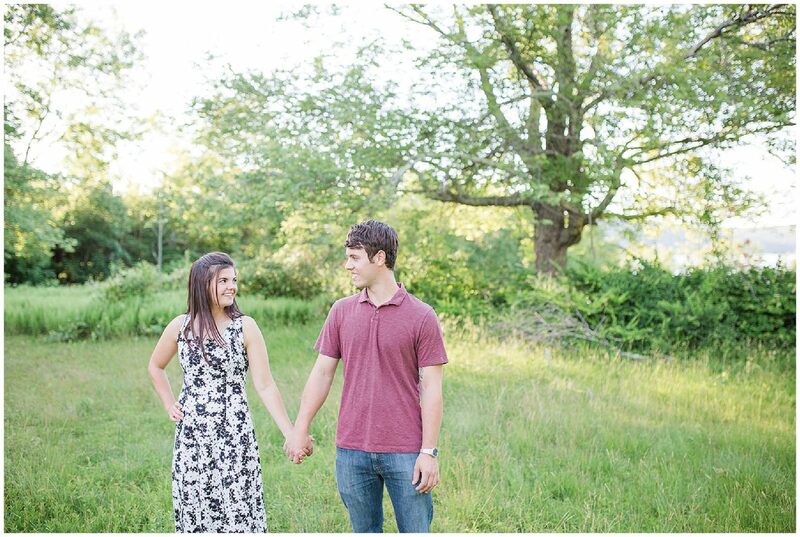 Can’t wait for their wedding at Salem Cross Inn this summer! 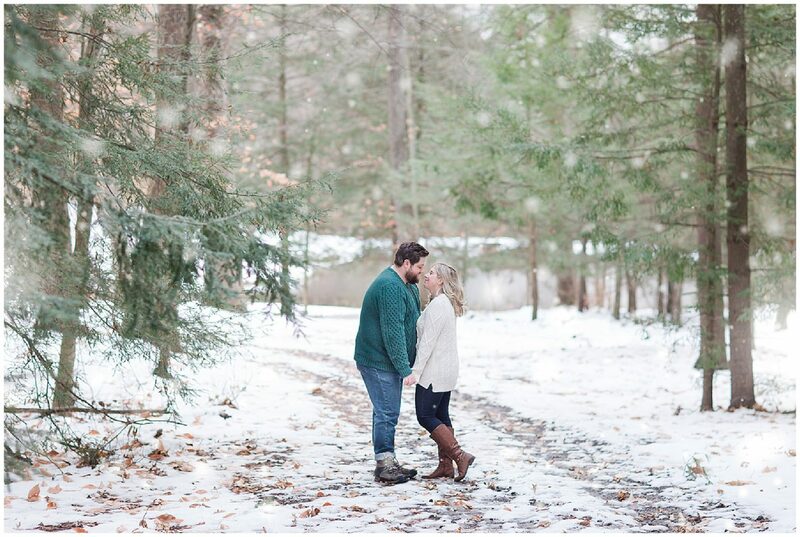 Winter Wonderland…the only time I am a fan of snow is Christmas Day and dreamy engagements like this! 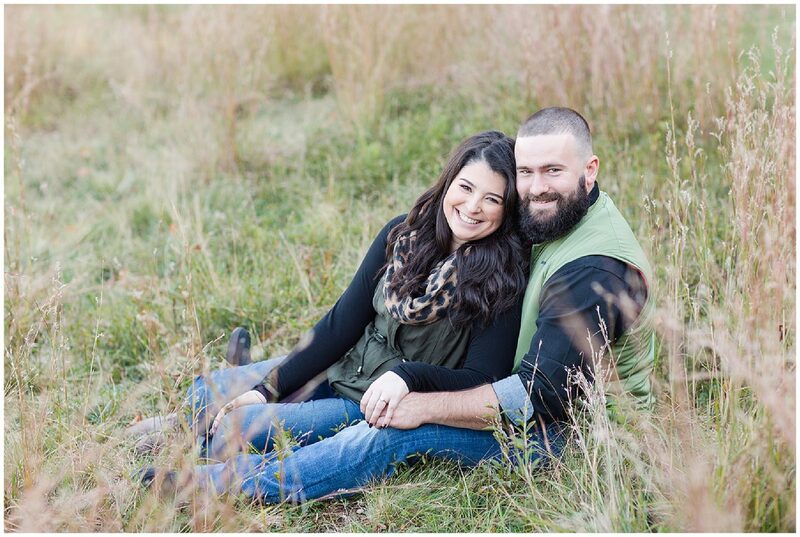 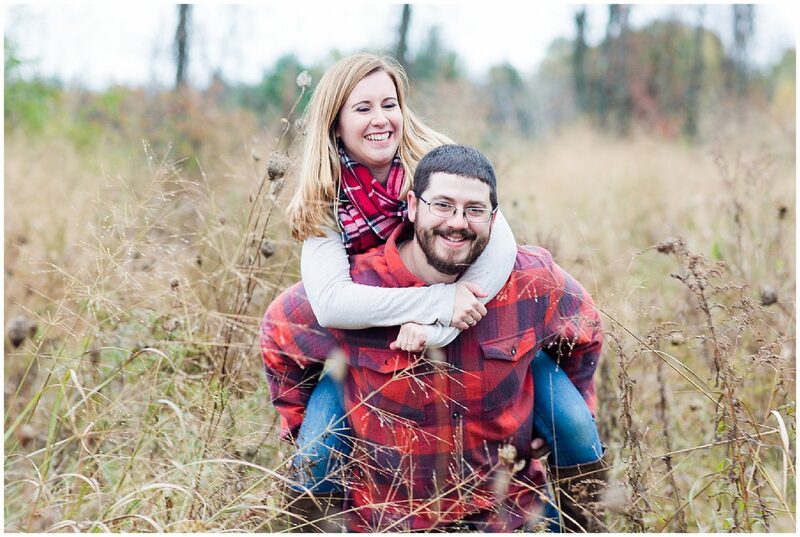 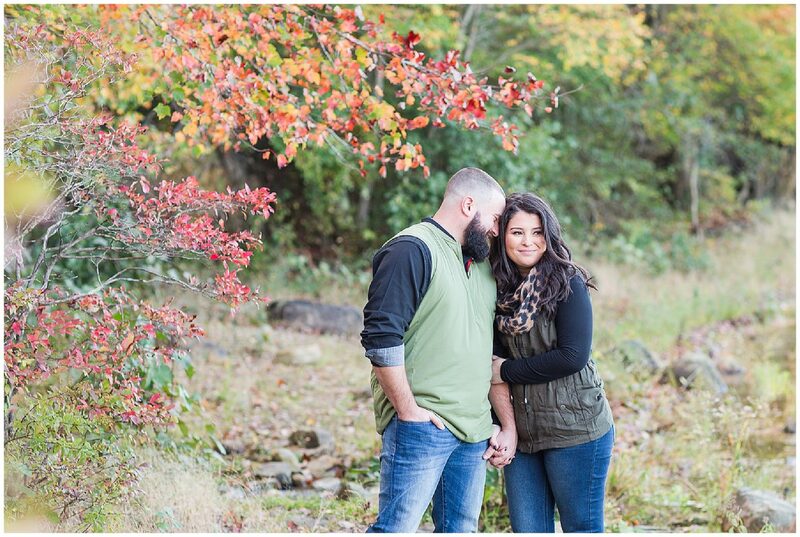 Sarah + Zach’s Fall Engagement at Ken Cuddeback Trail! 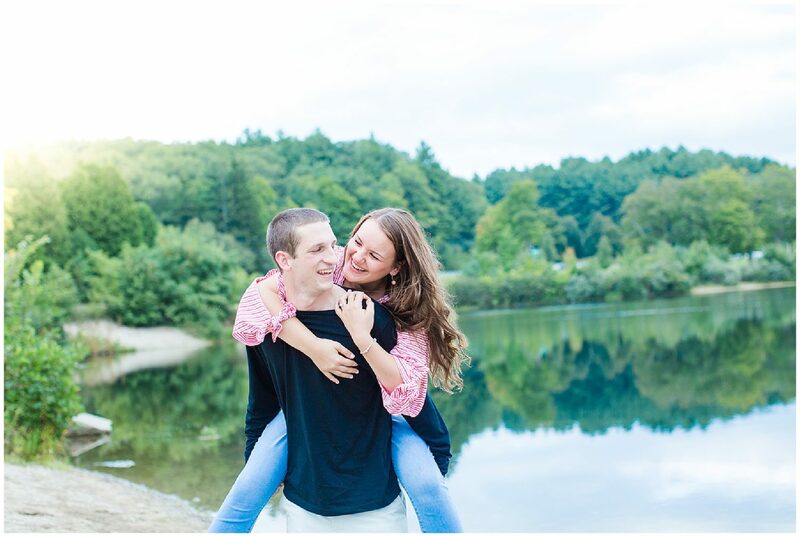 So excited for their wedding in New Hampshire! 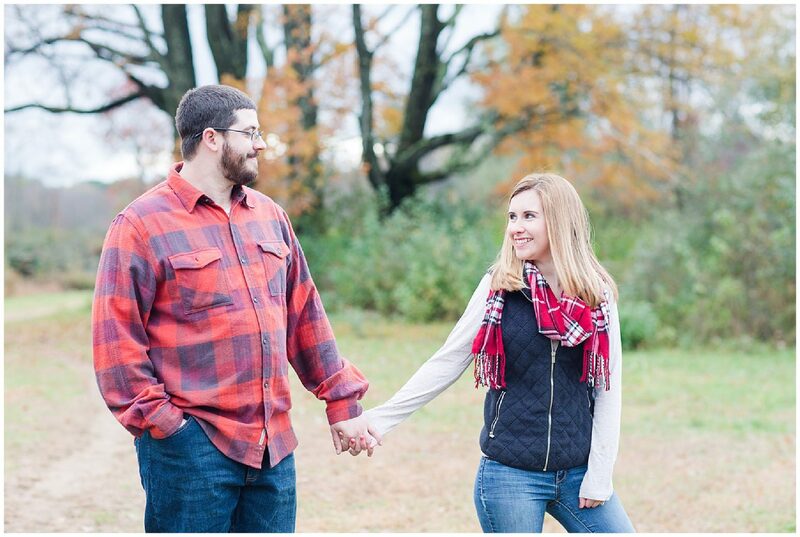 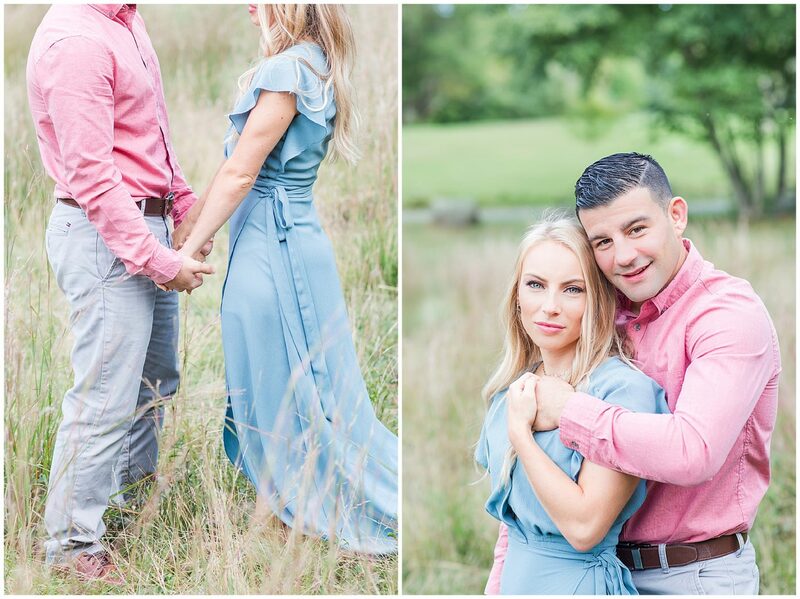 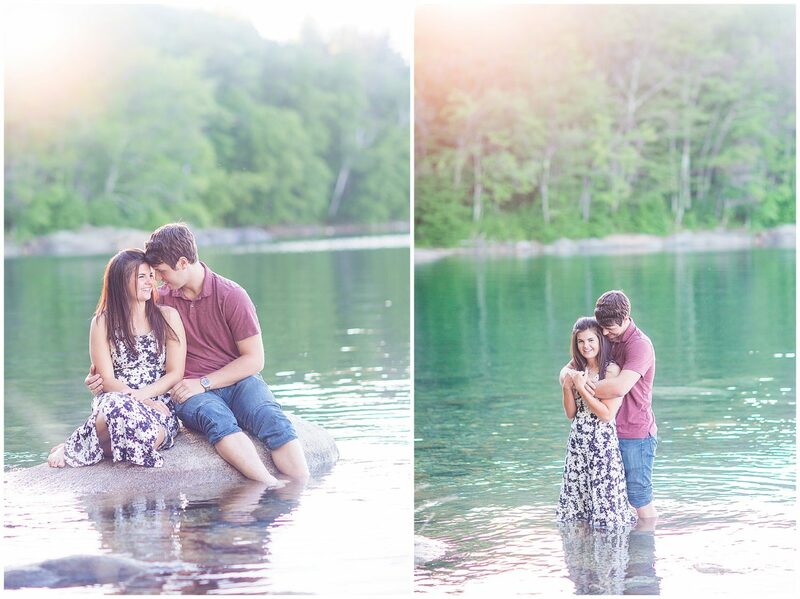 Loved this romantic anniversary session with Jared + Melinda at Laughing Brook! 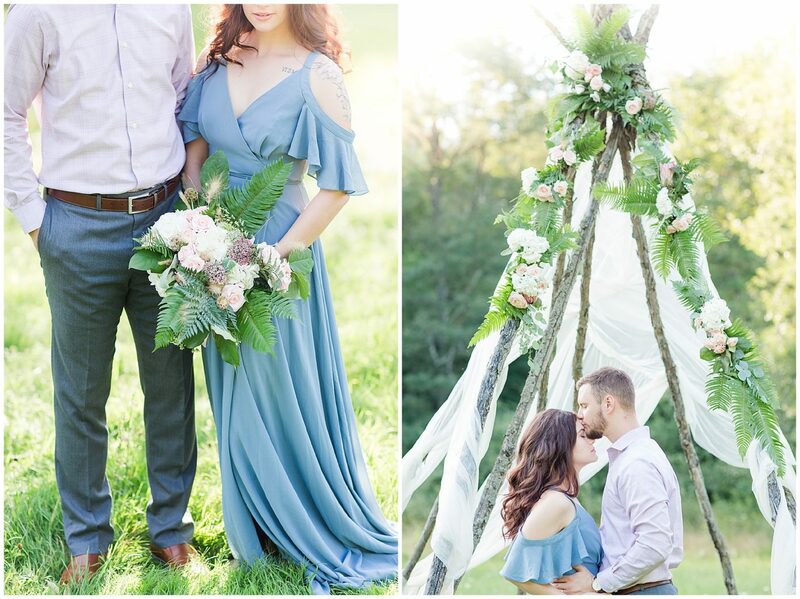 Kelly with Moss Garden Design decked it out with her beautiful florals!! 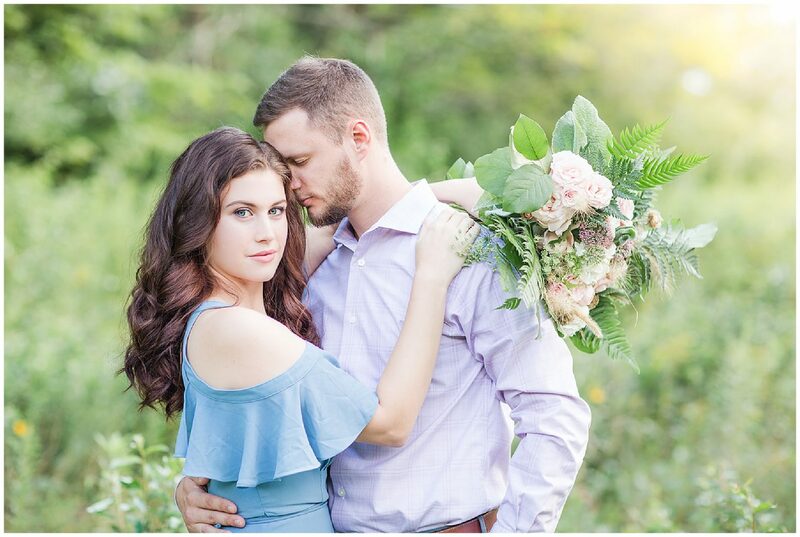 This session was something totally different for me and super fun! 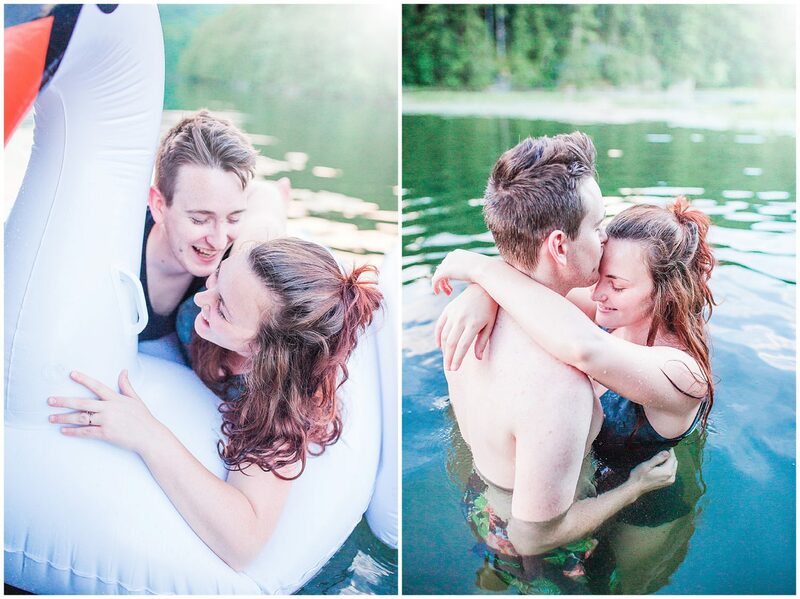 I met Kortni on instagram and we took turns swapping some couples pictures for each other while we were on vacation in upstate NY! 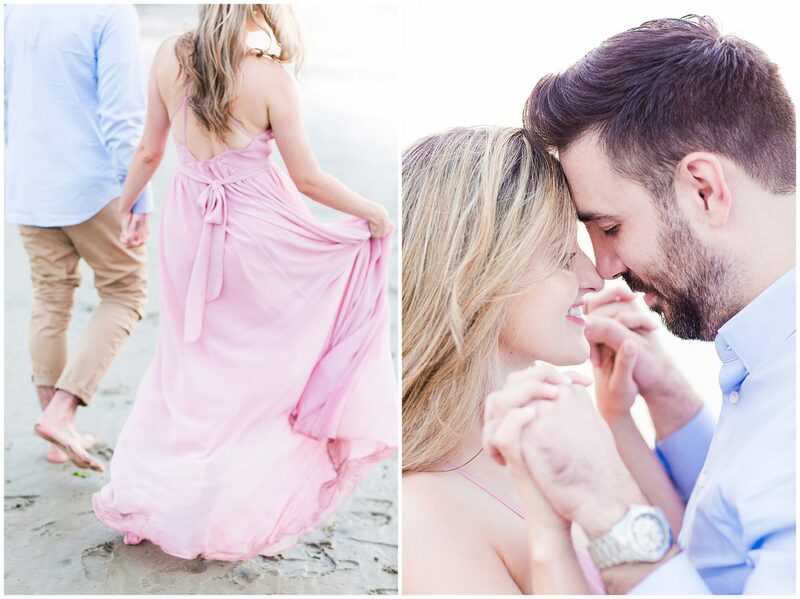 swooning…this is one of my all time favorites! 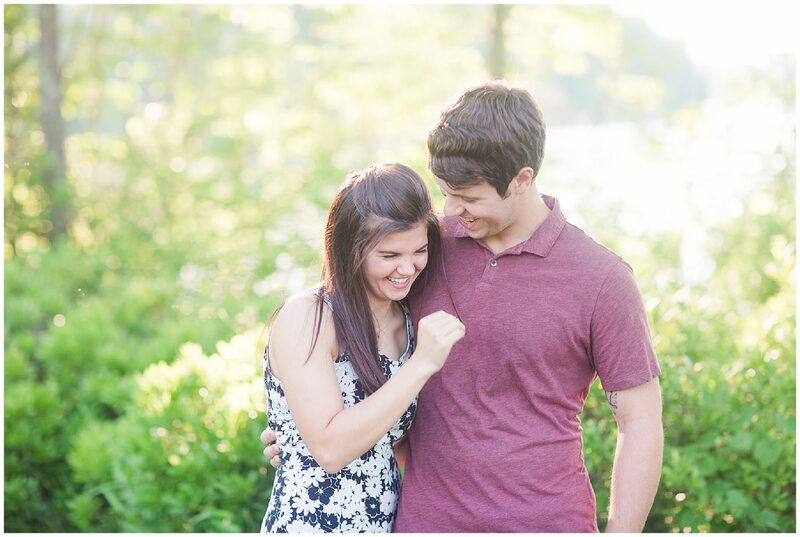 Mia + Matt have such a playful relationship…loved being able to capture that part of their personality. 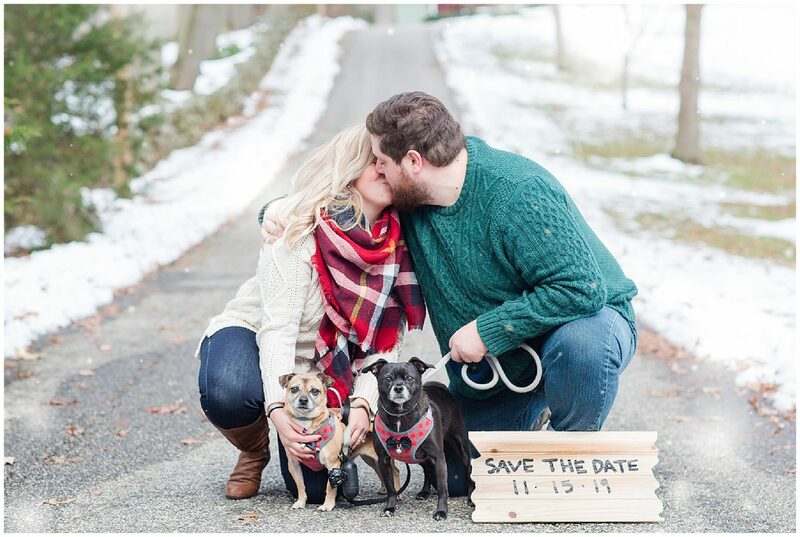 Gotta include the fur babies in a few! 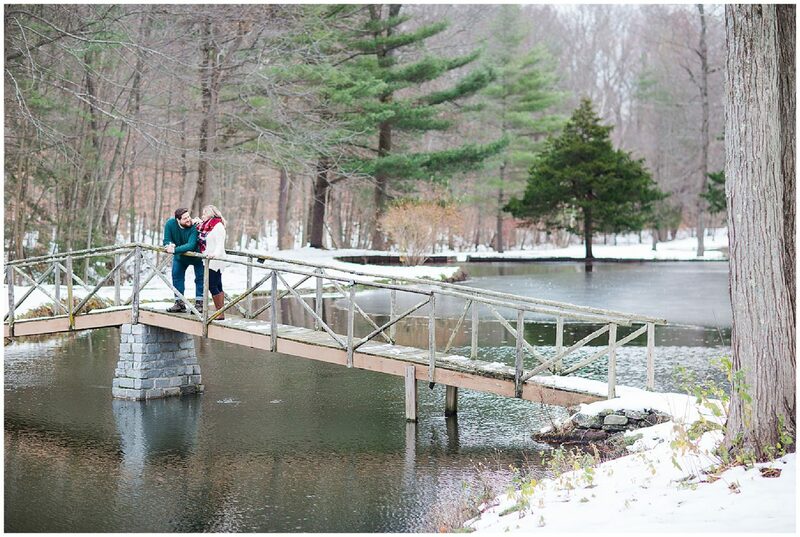 One of my favorite locations…this reminds me of a Nicholas Sparks movie! 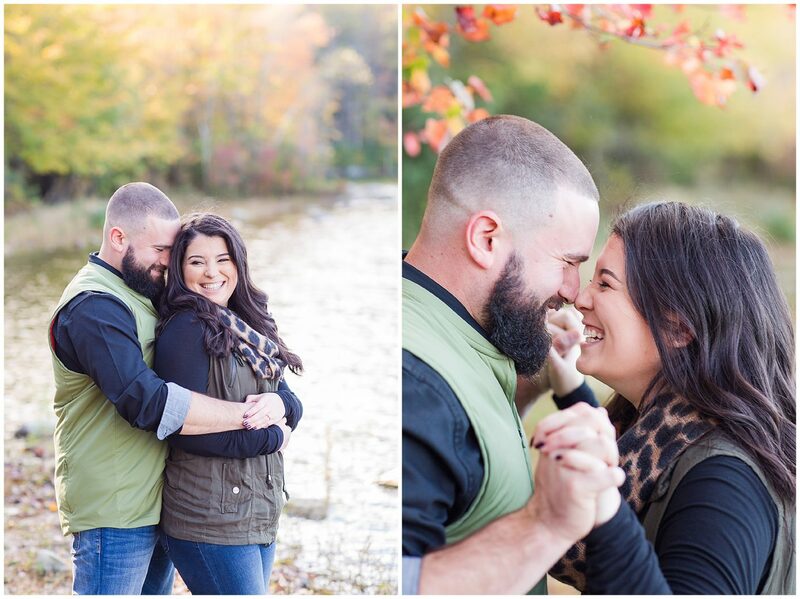 Christina + Chad were such a fun couple to work with! 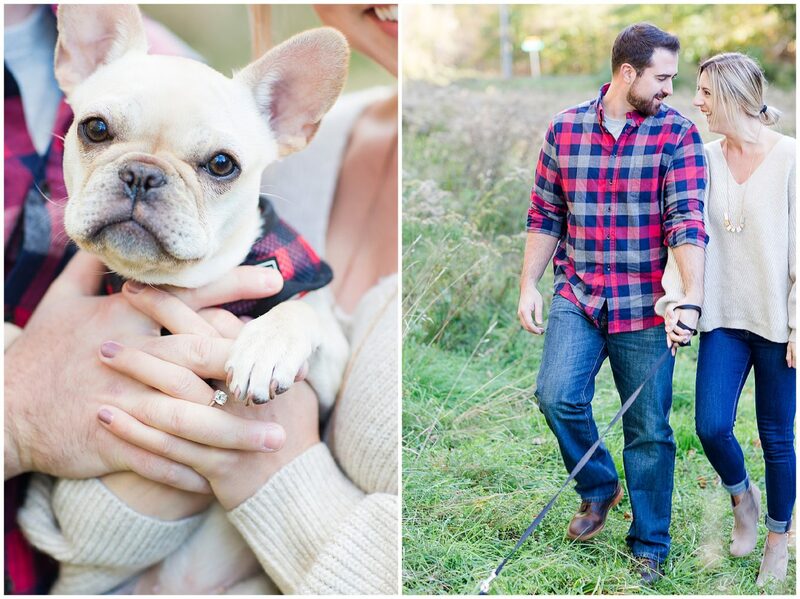 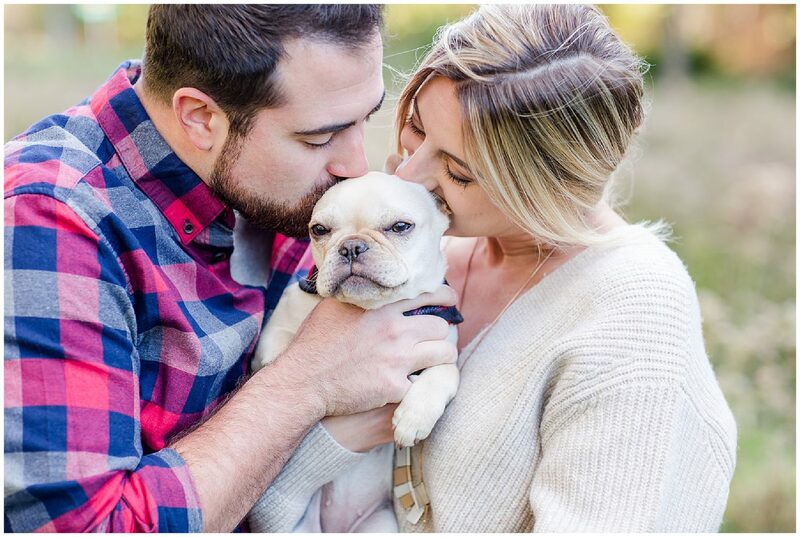 We felt like instant friends and loved that they incorporated their little pup for a few! 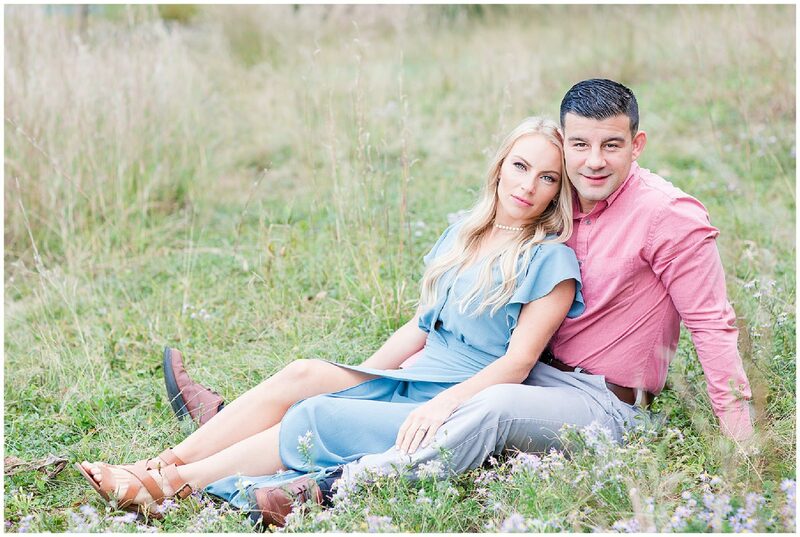 Another wedding we are so excited for in 2019! 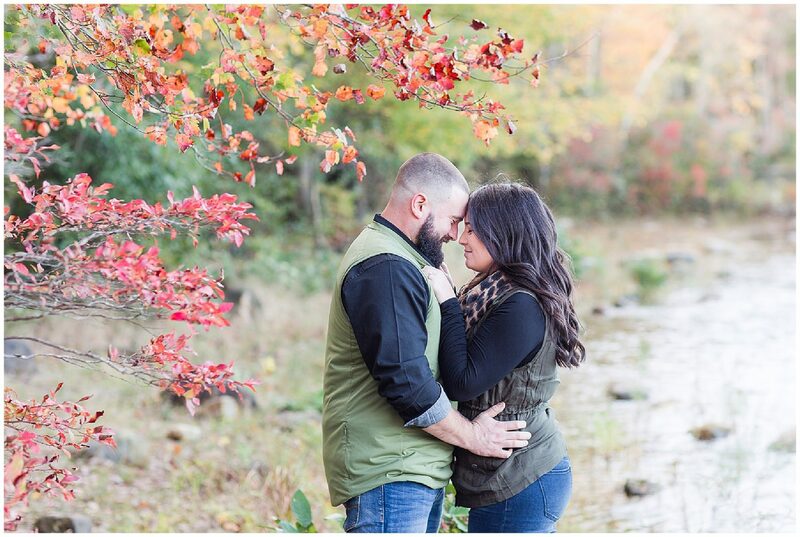 Fall engagements at the Quabbin are the best for foliage! 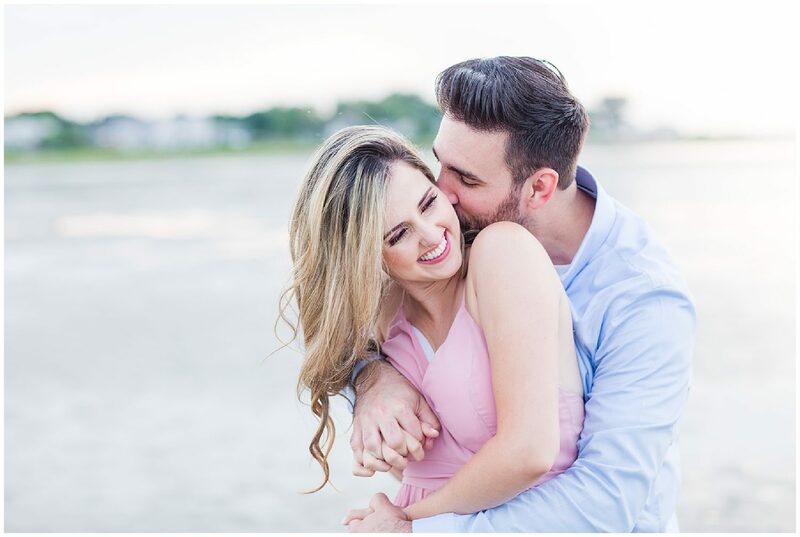 It is always so hard to try and choose a favorite from my sessions, but I think this one may be it from their beach engagement! 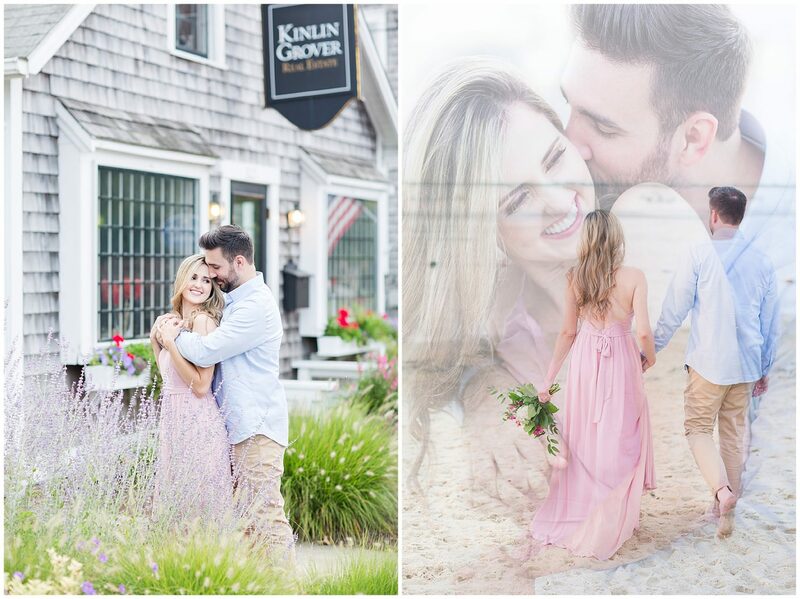 My first overlay edit and I love how it turned out! 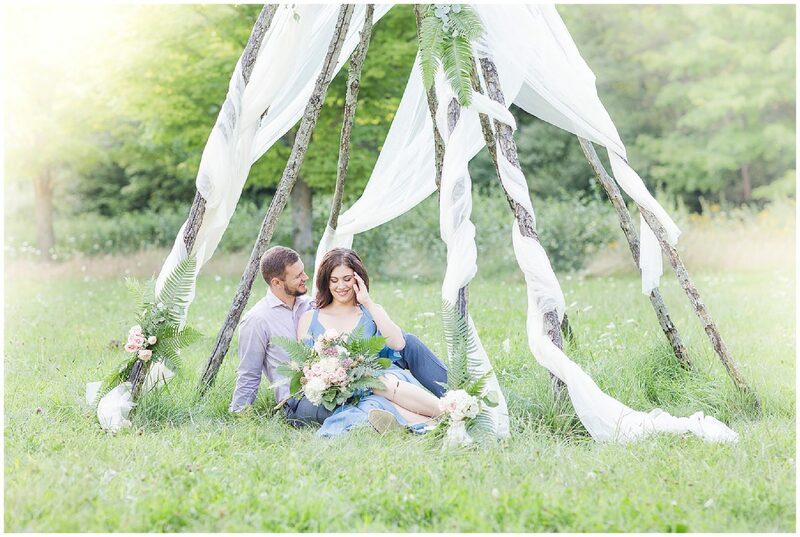 Love how this teepee turned out…Kelly’s flowers added so much and I had a bed canopy at my house I had never used so my mom helped me aimlessly drape it around this teepee and it ended up turning out just how I imagined! 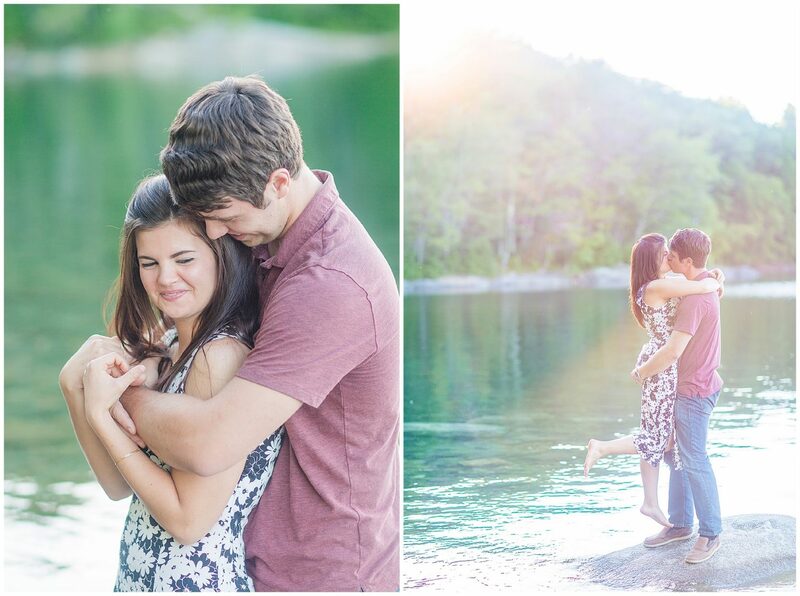 This shot was not easy..but these two were so willing to go with it and be adventurous…so thankful they trusted me!